Data from the huge SEARCH for Diabetes in Youth study – that includes more than a whopping 20,000 participants – reports the incidence of type 2 diabetes is increasing in our children.1 We are talking a 7% rise annually between 2002 and 2012. Until recently, type 2 diabetes was referred to as ‘adult-onset’. Now, kids as young as 3 years are being diagnosed. Causes of type 2 diabetes are multifactorial, with familial, lifestyle and environmental factors at play. From a dietary perspective, to reduce the risk of developing the condition here are some things to consider for you and your kids. Surprise! Too much sweet stuff may contribute to the onset of type 2 diabetes – especially regular consumption of sugar-sweetened beverages. Leave the highly refined sweet stuff behind, and replace with whole foods like fruit and healthful drinks like water and unsweetened tea. Any food far removed from its original state should be limited. Heavily refined oils and trans-fats should be replaced with less processed oils and healthy fats, such as olive oil, nuts, avocado and oily fish. Fibre-less flours can be just as detrimental to the body as added sugars. Instead, choose whole foods that are low in glycaemic load, swapping white rice for quinoa, or white flour for ground buckwheat, coconut or almond meal. The state of our intestinal microbiome can influence our health in a variety of ways. Recent research indicates the prevalence of certain gut bugs may be linked to precursors of type 2 diabetes. Considering our diet hugely affects which microbial populations of the intestine thrive or decline, more attention should be paid to keeping those helpful guts bugs nourished to keep the unhelpful ones at bay. A great place to start is limiting intake of heavily processed foods while ensuring fibre intake is up and enjoying some fermented foods. Enabling blood sugar highs followed by almighty lows increases the risk for pre-diabetes and type 2 diabetes. You can manage the blood sugar swing by eating regularly throughout a day, ensuring meals and snacks are comprised of ingredients offering fibre, healthy fats and protein. This offers a slow, steady release of energy to the body and therefore avoids the extreme fluctuation in blood glucose levels and high demand for insulin production. Blood concentrations of inflammatory markers such as CRP, TNF-a, & IL-6 are elevated in type 2 diabetes. While inflammation has it’s role in the body – such as healing the skin of a grazed knee – we don’t want to be living in high and chronically inflamed state. Choose to eat foods that keep inflammation in check, such as leafy greens, deep coloured berries, fresh herbs and spices, and heaps of vegetables. Overall, if you’ve concerns or a diagnosis of type 2 diabetes has already been made, please do chat with your trusted healthcare professional. They can run tests and work with you on a personalized diet, lifestyle and (if necessary) medical treatment plan to help turn type 2 diabetes around. Fats have got a bad rap over the past few years, but fats are an essential part of healthy eating. 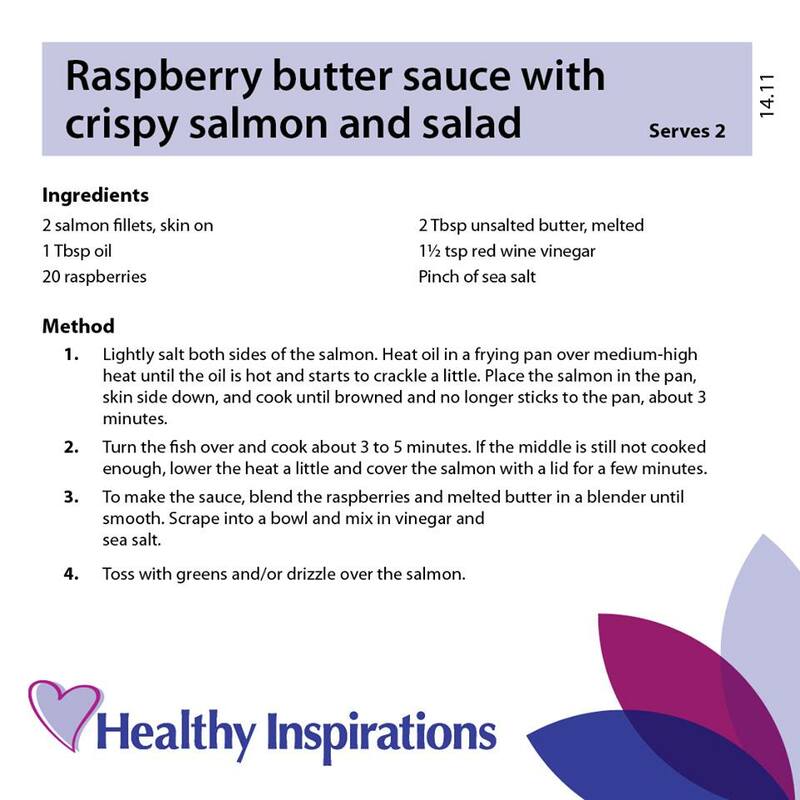 Healthier fats include monounsaturated fats and polyunsaturated fats – omega-3 and omega-6. These fats reduce the ‘bad’ LDL cholesterol in your blood and increase the ‘good’ HDL cholesterol. This helps to lower your risk of getting heart disease. 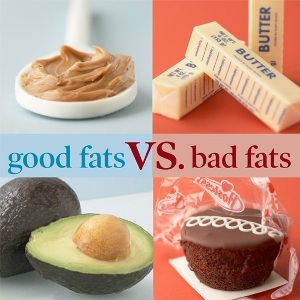 Unhealthy fats include saturated fats and trans fats. Too much saturated and trans fat increases LDL levels in our blood contributing to the build up of fatty material, called plaque, on the inside of your blood vessels which is a major cause of heart disease. To reduce the risk of heart disease, foods with unsaturated fat should be used in place of foods with saturated fat, and trans fat should be limited as much as possible. Cholesterol in foods (dietary cholesterol) has only a small effect on your blood cholesterol, especially when compared with the much greater increase caused by saturated and trans fat in food. Choosing less unhealthy fat (saturated and trans fat) and more healthier fats is more important to your blood cholesterol than dietary cholesterol. Choose vegetables, fruit, wholegrains and nuts and seeds everyday. Including fish two to three times a week instead of meat or chicken is a simple way to reduce saturated fat in the diet while getting the added benefits of omega-3. Limit deep fried foods and fatty take-away foods and fatty snacks, such as crisps, cakes, pastries, biscuits and chocolate. Use reduced fat milk, cheese and yoghurt. Select lean meat, poultry and game. Try to trim all visible fat from the meat before cooking. Remove the skin from chicken and turkey. Use spreads and margarines made from canola, sunflower or olive oil and dairy blends with the Heart Foundation Tick instead of butter. Spread thinly so you can still see the bread. Cook with polyunsaturated or monounsaturated oils, such as canola, sunflower, soybean, olive, sesame and peanut oils. Measure out your oil with a teaspoon or use a spray oil. Grill, bake, poach, steam or stir fry rather than shallow or deep frying and roasting in oil so that you don’t need to use a lot of fat. What is the Heart Foundation doing? The Heart Foundation, through the Tick Program, works with manufactures to improve the nutrition profile of commonly consumed processed foods. The Tick Program sets strict criteria for saturated and trans fat. For example, the Heart Foundation began challenging Australian margarine manufacturers to remove trans fats to the lowest possible levels in the early 90s. As a result the levels of trans fats in almost all margarines in Australia are now amongst the lowest levels in the world. Read more about margarine vs butter here. The Heart Foundation also works to improve the food supply, so that healthier oils are used when Australians choose to eat out. Find out more about the Healthier Oils initiative. Include a handful of nuts everyday, not only are they delicious but they are nutritious providing healthier unsaturated fats, fibre and vitamins and minerals. Choose raw, dry roasted and unsalted varieties. Over the next two weeks I will be presenting you my Top 10 Health Tips. These are tips that I follow in my life and I encourage my clients and class participants to follow as well. Now as an interesting fact, your mind can only deal with making a couple of changes at a time, that is often why people who decide to give up smoking, go to the gym, stop eating chocolate and junk food, and drink more water all in one week fail because it is too much to deal with at once. Be as active as you can with what the day brings you. What sort of weather is being offered to you today? Adjust your activity to how you are feeling and how the weather is. Lying on the lounge on a rainy day isn’t an activity. Eat a rainbow of clean foods at most meals and don’t forget the protein! Clean food means it hasn’t been greatly tampered with, you recognize it as a real food and it doesn’t have a lot of ingredients some of which are unpronounceable. Protein comes in many forms. It’s your body’s building block for muscle growth and repair. As we age both the growth (or maintenance) and repair are vital. Stay strong physically so you don’t fall in a heap. If you don’t use it you will lose it and once you lose your strength your confidence goes with it. Think of yourself as a tree and choose the tree that is strong to the core rather than a wimpy sapling that will topple in a stiff breeze. Lift, push, pull and squeeze heavy things as part of your everyday tasks or in conjunction with a specific strength workout. The handle on your recliner doesn’t count as a strength exercise but if you can’t use it you need help! Drink a bucketful of water daily and check the colour of your urine. Your urine may be yellow first thing in the morning or if you are on some medications but otherwise it should be clear. If it isn’t you need to drink more water. Try flavouring your water with a little lemon juice or apple cider vinegar to not only hydrate you more effectively but also give your liver a cleanse. I hope you can use these first four tips to make some positive changes in your life. Choose a couple of tips to get you started and next week I’ll give you the rest of my Top 10 Health Tips. If you require any help or guidance, call Glen at Coffs Coast Health Club on 66586222 or come down and see us. Exclusive Worlds Best Health Supplements HAVE ARRIVED! Our quest to find the healthiest all natural supplements on the planet took us overseas earlier this year and it may have taken us six months to organise it but finally they have arrived. We tasted and researched over 100 different products before we decided who we would align our brand with. We are now pleased to announce that we hold the exclusive license on the Coffs Coast for the Nano range of products from BioPharma Scientific. Their patented SuperSorb® delivery system allows your body to absorb the maximum amount of the nutritional value for better results, guaranteed. In addition, all of their products are non-GMO, organic, and 100% plant based with absolutely zero synthetic ingredients. They are based on new, scientifically-advanced, physician grade formulas with the highest quality ingredients sourced from the cleanest parts of the world. Let’s just say their products do all the talking for themselves. BioPharmaSc’s four most popular products are NanoGreens, NanoProtein, NanoEPA Fish Oil and NanoLean. They can now be purchased through reception individually or as a four pack for 5% OFF. Did you know? Each serve of NanoGreens has the equivalent of 10 serves of organic fruit and vegetables! Have a chat to your trainer about which products are most appropriate for your needs. Thank you to everyone that participated last month on Member Appreciation Day. The classes, the events, the offers & the atmosphere around the club was amazing. We still have a number of Foundation Member gifts for collection at reception, so if you were a member on 31st October 2009 & are still a member now, please see the reception team to collect your gift. The feedback was so positive on the day that we will be making it an annual event. Days like this are a true testament to the quality of our Coffs Coast Health Club community. Last 2014 Personal Trainer Course STARTING SOON! Start a career as a Personal Trainer and gain the necessary skills to run and manage your own successful fitness business. The Certificate IV in Fitness – Complete Personal Trainer qualification will allow you to gain hands-on practical experience while being able to complete the theory component online and in your own time. As part of your qualification package, you will also complete the Diploma of Business building on the units you completed within your Certificate IV in Fitness and will help you to develop your skills across a wide range of business functions including managing your own business through to being a program coordinator or business manager within a larger business. The Diploma of Business is VET FEE-HELP* approved, so you can study now and pay later – with no time lost! Contact Tracy Welsh, your local campus manager directly on 0429 695 096 for further information. See reception or call 6658 6222 to take advantage of these offers for a limited time. Kids Club at FIA World Rally Championship! site at the Coffs International Stadium. Among all of the awesome rally events there will also be Kids Yoga and Kids Zumba taking place, Smurfs to play with and lots of Coffs Coast Health Club balloons being given out. KIDS ZUMBA at 1.00pm & KIDS YOGA at 1.45pm. Sunday: KIDS ZUMBA at 11.30am & KIDS YOGA at 12.30pm. Come along, say hi & have some fun! Spring is the perfect time to work on your health and fitness as the warmer weather gets you motivated and inspired to get on track before summer. 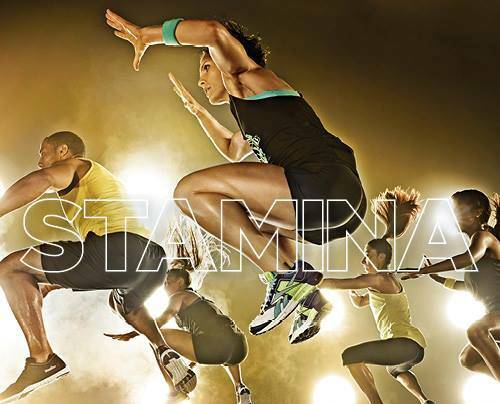 ATTACK is the high energy sports inspired cardio class that builds strength and stamina and it is on our timetable on Wednesdays at 6.30pm, Thursdays at 9.30am, Fridays at 5.30pm and Saturdays at 8.30am. Help Simone Ride To Conquer Cancer! September from 12:00 pm to 2:00 pm at Surf Club Restaurant & Bar. The cost is only $35 per head and with some great lucky door prizes and raffle tickets on offer. It will be a fun event! We are asking everyone to bring something “new” for the silent auction table. You can bring more than one thing if you like, but we’ll have everything set up on the deck for bidding to take place. All items will start at a reserve price of $10. If you can’t make it to the lunch, please visit her fund-raising page here & donate any amount as it all helps. Join in a 12 week Classical Pilates Group Class with a modern twist and reap the rewards. give you the tools to help you build your strength without bulk, make you more aware of your body than you have ever been, improve your posture, your grace, your flexibility and flatten your stomach in 12 weeks. $20 a week will be money worth spent to learn valuable mind and body skills that will last you a lifetime. First class is FREE. Register: Reception on 6658 6222 or Jacqui directly on 0421 971 155 or via jacqui@coffscoasthc.com.au but be quick as there are only 7 spots available. 12 Week Body Makeover Challenge! From just $20 a week, Healthy Inspirations are offering you the opportunity to transform yourself before Summer. Reveal the new summer you by taking part in our Body Makeover Challenge. Kids School Holiday Massage Sessions! aggressive – what more could you ask for during the holidays? Register: Call reception on 6658 6222 or drop in to see Angela 0417 675 319 in the Upstairs Massage Room. Personal Trainer Traineeship NOW AVAILABLE! 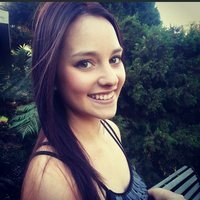 Yes its that time already… Our wonderful Director of First Impressions Emily Hodgens will be leaving our frontline soon to continue her study at University. This means that we will be once again giving one lucky person the opportunity to become a Personal Trainer and gain twelve months work experience in the regions most awarded health club. We accept applications from anyone of any age with any background, as long as they have a wonderful work ethic and a desire to service our magnificent members. If you or anyone you know is interested in this exciting career opportunity, please forward this email to them, get them to complete the application form here & drop it in to reception before Sunday 7th September. SAVE THE DATE! Friday 28th November – Members & Guest Christmas Party! If you have lactose intolerance, you may love milk, but your body doesn’t — and it lets you know that when you have too much. You might have symptoms like cramps after a bowl of cereal or gas after an ice cream treat. Lactose is the main sugar in milk and other dairy products. If you have lactose intolerance, you can’t digest it well. Lactose intolerance is not curable, but there are many ways to cut your symptoms and feel better. Between 30 minutes and 2 hours after eating a dairy product, you have one or more of these symptoms. They may be mild or severe. Even with lactose intolerance, you can tolerate a certain amount of lactose. This affects how quickly you have symptoms and how severe they are. Someone else may be sensitive to small amounts of foods with lactose, while you may be able to eat more before you have symptoms. Lactose is in some prescription medicines, including birth control pills, and over-the-counter drugs, such as some tablets to ease stomach acid or gas. If you have lactose intolerance, you can’t digest lactose because your small intestine doesn’t make enough lactase, the enzyme that digests lactose. The lactose that isn’t digested makes gas in your colon. So when you eat foods or take pills with lactose, you have symptoms. For many people, lactose intolerance develops naturally with age, because the small intestine starts to make less lactase. Your body may also make less lactase if your small intestine is injured or you have certain digestive problems, such as Crohn’s or celiac disease. Millions of Americans have lactose intolerance, so it’s quite common. About 75% of all people around the globe have too little lactase to some degree. If you’re African-American, Asian, Hispanic, or Native American, you’re more likely to have it. What Is Life Like With It? Lactose intolerance is easy to manage. You can probably eat some foods with lactose and not have symptoms. You may need to use trial and error to figure out what foods and how much of them you can tolerate, though. You can also find many lactose-free dairy options at grocery stores. Lactase enzyme supplements can help you get the nutrition benefits of dairy, especially bone-building calcium and vitamin D, and avoid symptoms of lactose intolerance. And nondairy drinks, such as soy, almond, and rice milk, are often fortified with calcium and vitamin D.
You may do better having a little milk or dairy products with meals, because it’s easier to digest lactose eaten with other foods. Some dairy products may be easier for you to digest, such as cheese, yogurt, and cottage cheese. Using lactose-free milk, cheese, and other nondairy products in recipes will likely make the meal more pleasant. Thirty minutes have passed since you ate a bowl of ice cream, and now your stomach is cramping and gassy. You feel like you might have diarrhea. Does this sound like you? Or, you had milk, mashed potatoes, or even candy almost 2 hours ago and have these symptoms. Does that sound like you? If either does, you could have lactose intolerance. Lactose is the main sugar in milk and most other dairy products. Your small intestine makes the enzyme lactase to help you digest that sugar. When you’re lactose intolerant, you don’t make enough lactase to digest lactose well. You can’t cure lactose intolerance, but if you change what and how you eat, you may cut or even get rid of your symptoms. You can use trial and error to find out what foods cause symptoms, and in what amount. Or, you may want to see your doctor for a diagnosis. You may be sensitive to small amounts of foods that have lactose, or you may only have symptoms if you eat a lot of lactose foods. Your symptoms may be severe or mild. Lactose intolerance is different for everyone. Your doctor may ask you to keep a diary of the foods you eat, to note when you have symptoms, and to stop eating an offending food to see if your symptoms go away. To make a diagnosis, some doctors simply look at your symptoms and whether avoiding dairy products for 2 weeks relieves them. Hydrogen Breath Test: Normally, people have very little hydrogen in their breath. If your body doesn’t digest lactose, though, hydrogen builds in your intestines, and after a while it’s in your breath. This test measures how much hydrogen is in your breath after you have a lactose-loaded drink several times in a few hours. If your levels are high 3 to 5 hours later, your body does not digest lactose well. Lactose Tolerance Test: When your body breaks down lactose, it releases sugar into your blood. This tests how much sugar is in your blood. After you fast, a small sample of blood is taken. Then, you drink a liquid that is high in lactose. Two hours later, you give another blood sample. Because lactose causes blood sugar levels to rise, your blood sugar levels in this sample should be higher. If you’re lactose intolerant, you’ll have just a low rise in blood sugar and symptoms. You can’t change how well your body digests lactose, but you can cut or even stop your symptoms. Talk with your doctor or a registered dietitian who can help you plan a healthy diet that keeps you feeling good. Keep a food diary to help you learn how much (if any) dairy you can eat without having symptoms. Many people don’t need to stop eating all dairy. If you make small changes in what you eat, you may be able to prevent symptoms by helping your body digest dairy foods easier. Don’t eat dairy alone. It’s easier for your body to digest lactose when you eat it with other foods. So try having small amounts of milk or dairy foods with meals. Choose easier-to-digest dairy products. Some people find it easier to digest dairy products like cheese, yogurt, and cottage cheese. Use lactose-free or reduced-lactose milk and dairy products. You can find dairy products with most of the lactose removed, or lactase added, at many grocery stores. Switch to dairy-free products. There are many nondairy options, such as almond, rice, or soy milks. Special note about infants and young children: When babies have symptoms of lactose intolerance, many children’s doctors advise changing from cow’s milk formula to soy milk formula until the symptoms go away, then slowly adding cow’s milk formula and dairy products back into their diets. Take a lactase enzyme replacement. These are available over the counter in pills or capsules. Take the advised dose with your first drink or bite of dairy to help prevent lactose intolerance symptoms. If your doctor just broke the news that you’re lactose intolerant, it doesn’t mean you’ll never get to savor another bite of ice cream. At first, many people fear they’ll have to give up all dairy products, says Dee Sandquist, RD, a dietitian in Fairfield, Iowa. But with some trial and error, most people find they can still eat small amounts of dairy without having symptoms such as bloating, gas, stomach pain, diarrhea, or nausea. Dairy foods are important to the health of your bones, because they’re loaded with calcium and vitamin D. So the trick is to make sure you’re getting enough of these nutrients, whether from dairy or other foods. “Listen to your body and your symptoms,” says Sandquist, who is also a spokeswoman for the Academy of Nutrition and Dietetics. 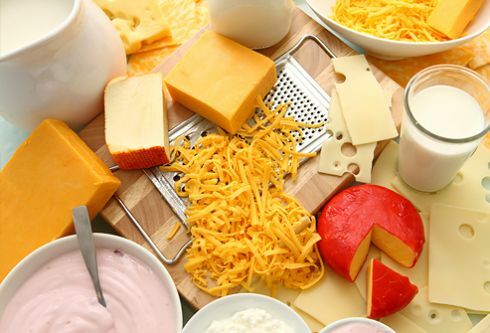 If your symptoms are so severe that you can’t handle lactose in any foods, talk to your doctor about how to get enough calcium and vitamin D.
Figure out what foods you can eat. If you’re not sure which foods with lactose you can handle, try one dairy food at a time, Sandquist says. You should be able to tell whether it bothers you within 30 minutes to 2 hours after eating it. Any discomfort from lactose intolerance is likely to set in by then. For example, drink a half-cup of dairy milk and see how well you tolerate it. See how much you can eat. If you don’t have symptoms from the food and the amount you try, slowly add more to see at what point you do have symptoms. For instance, maybe you don’t have symptoms with a cup of milk, but you do with one and a fourth cups of milk. So your tolerance level is one cup. If you do have symptoms, cut back on the amount to see if you can handle a smaller portion. Once you’ve found how much of one food you can handle, start testing another food. You may find you can’t tolerate any amount of some foods. That’s a good time to try lactose-free or reduced-lactose foods. For instance, if milk doesn’t agree with you, try lactose-free milk or a dairy-free drink, such as almond, rice, or soy milk. If you have problems digesting cheese, try one with less lactose. People who are lactose intolerant tend to cut out dairy foods. If you do that, you can shortchange yourself on calcium. 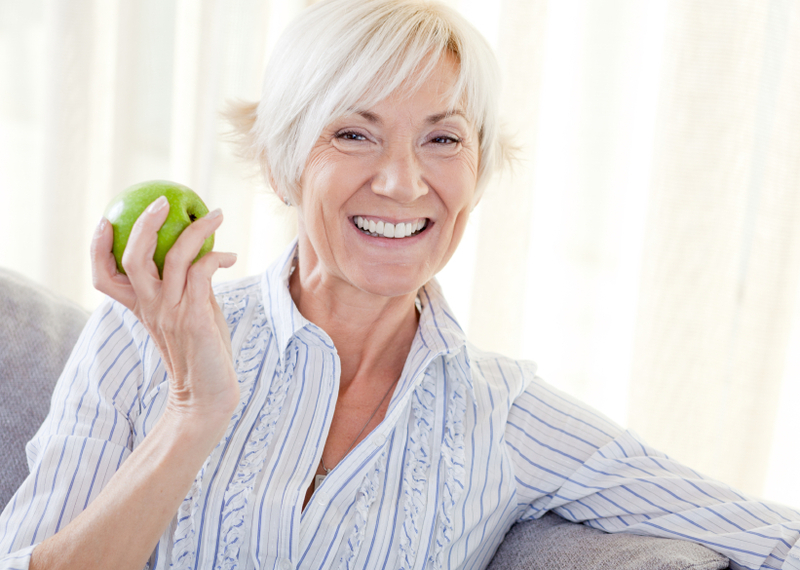 You need calcium for healthy teeth and bones, and vitamin D to help your body use calcium. “People who are lactose intolerant are at higher risk for osteoporosis,” or thinning bones, Saito-Loftus says. If you have lactose intolerance, you don’t have to miss out on the bone-building benefits of calcium and vitamin D. Some lactose-free foods are fortified with these nutrients, such as lactose-free milk and cottage cheese. Some nondairy milks — almond, oat, rice, and soy — are also enriched with calcium and vitamin D.
Look at the label, and try to get at least as much calcium and vitamin D as you would get from regular cow’s milk. Calcium and vitamin D supplements can help you fill in any gaps to ensure you “bone up” on these vital nutrients. Does milk upset your stomach? You could be lactose intolerant. But even if you are, you can probably still enjoy light coffee and creamy desserts without discomfort. Here’s how. Dairy products are high in calcium, protein, and other nutrients. You may still be able to get these nutrients from dairy if you’re lactose intolerant. “On average, most lactose-intolerant people can tolerate about 250 ml of lactose,” says David Goldstein, MD, a gastroenterologist in Emerson, N.J. That’s about 1 cup (8 ounces) of dairy milk. Start by trying 1/2 cup of regular milk or less with a meal. Take lactase tablets or capsules before eating or drinking foods that have dairy products or milk. Drink and cook with lactose-free milk. It has added lactase to break down the lactose. It also has about the same nutrients as regular milk. For nondairy milk, consider these options. They vary in nutrition, so before you buy, compare the labels next to cow’s milk. Choose one that is fortified with calcium, vitamin D, and other nutrients. Use unsweetened nondairy milk in savory dishes like mashed potatoes. You might like vanilla, chocolate, or other flavors for baking. Soy milk is the best source of protein of the nondairy options. It’s thicker than cow’s milk and slightly beige in color. Coconut milk is creamy like whole milk. It has little protein, though, and about the same saturated fat as whole milk — about 4 grams in a cup. Almond milk is also like cow’s milk in texture, though slightly beige in color. It tastes faintly like almonds. It may have more calcium than dairy milk, along with vitamins D and E. But an 8-ounce glass of almond milk has only about 1 gram of protein. Rice milk is white, like cow’s milk, and thinner and sweeter than almond milk. It doesn’t work as well as thicker milks in sauces and puddings. It is low in protein, like almond milk. But you can find it fortified with calcium. Hemp milk is thick and sometimes a little grainy. It is made of hemp seeds, which are high in heart-healthy omega-3 fatty acids. It also has protein but falls short in calcium. Lactose intolerance is not the same as a milk allergy, which involves your immune system. Lactose is the sugar in milk. If you’re lactose intolerant, a glass of milk or a bowl of creamy soup can give you intestinal trouble like cramps, gas, diarrhea, or bloating. That’s because your small intestine isn’t making enough of the enzyme lactase. Lactase breaks down milk sugar so your bloodstream can absorb it well. A milk allergy can cause stomach pain, bloating, and diarrhea, too. But it can also cause hives, swelling, and more severe symptoms, like a drop in blood pressure and trouble breathing. First, your doctor may suggest you avoid all milk products briefly to see if your symptoms improve. If they do, the doctor may do a test to confirm that you are lactose intolerant. Dairy trouble got you down? Don’t worry! You can still enjoy some of your favorite foods. Try these simple recipe swaps so you can eat the foods you love. If a recipe calls for 1 cup of cow’s milk, you can replace it with lactose-free cow’s milk or rice or soy milk. Just remember: Rice milk is thinner and soy milk is thicker than cow’s milk. So you may need to tweak the amount you use in cooking and baking. Closest to milk. Lactose-free milk is treated with lactase to break down the lactose. It is the closest cousin to regular cow’s milk in taste and offers the same nutrients, such as calcium. No-Nos. Goat, sheep, and buffalo milk are not suitable, because they all contain lactose. Cooking Tips. The safest bet, in both sweet and savory recipes, is to choose a light, plain, and unsweetened product. In bread, cake, cookie, or sweet recipes, flavored or sweetened milks may also work. When buttermilk is an ingredient, add 1 tablespoon of lemon juice or vinegar to 1 cup of plain milk substitute to make your own. Some store-bought cow’s milk buttermilk, if made with active bacteria cultures, may be low in lactose. When dry milk powder is an ingredient, use an equal amount of coconut, potato, rice, or soy milk powder instead. There are a few alternatives to heavy cream, light cream, or half-and-half that have similar mouth-feel and thickness to the real thing. Coconut cream makes a good swap for half-and-half when you blend it with half soy milk. Another option: Create your own light cream by mixing 3/4 cup of a plain milk substitute with 1/4 cup of canola oil. 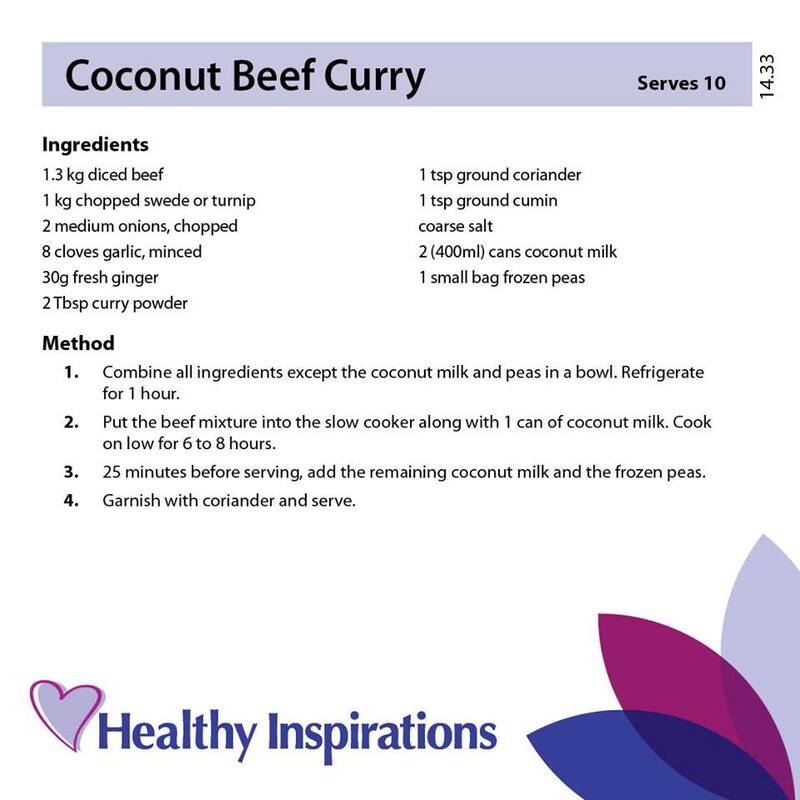 Coconut milk can replace evaporated milk or heavy cream in soups and stews. You can also make your own heavy cream with 1/2 cup plain milk substitute and 1/2 cup canola oil. Dairy and lactose free half-and-half substitutes work well in many recipes. You may be able to use nut butters made from almonds, pecans, walnuts, cashews, hazelnuts, pistachios, peanuts, or macadamias instead of dairy cream in some recipes. Make a nut cream by whisking 1 cup of water into 1/4 cup of nut butter. Fruit purees. In baked goods (other than cookies), you can substitute fruit purees like applesauce, prune, or banana for part or all of the butter. Usually ¾ cup of fruit puree replaces 1 cup of butter. Many chefs use this approach to lower fat and calories, and make muffins, brownies, and cakes healthier. Dairy-free margarines or oils. You can also use dairy-free or soy margarine, coconut oil, shortening, and olive or canola oil for part or all of the butter. You may be able to tolerate some cow’s milk yogurts, because they have very little lactose. Choose ones with live, active bacterial cultures for the least amount of lactose. If you can’t tolerate regular yogurt, try soy or coconut milk yogurts, soy sour cream, or unsweetened fruit puree. Let soy based or lactose-free sour creams serve as subs in your favorite recipes. Pureed silken tofu and plain soy yogurt can also work well. Aged cheeses such as cheddar, Colby, Parmesan, and Swiss have very little lactose, only about 0.1 gram per ounce. American cheese, cream cheese, and cottage cheese are also low in lactose. You can use hemp, rice, reduced lactose, lactose-free, or soy cheese in recipes to replace cheese. There is a wide variety of diary-free ice creams and frozen yogurts made from soy, rice, hemp, coconut, and lactose-free milks. Sorbet, made from fruit, sugar, and water, is another option. Sherbet is made with milk but only contains a small amount of lactose, about 4-6 grams per cup. Most dark chocolate is lactose-free and comes in a wide variety of shapes and sweetness levels. Check the label to be sure it doesn’t contain any dairy ingredients. Carob chips and rice milk chocolate are two options for chocolate made with cow’s milk. The trick is to swap in calcium-fortified lactose-free milk or nondairy milk for regular cow’s milk, or use lactose-free options instead of cheese, cream cheese, and yogurt in recipes. Nondairy drinks, such as almond, rice, or soy milk, are also tasty options. Use olive oil or canola oil instead of butter if the lactose in butter gives you problems. You can make this a day ahead. Keep it chilled in the refrigerator, and then warm it in a slow cooker or in the microwave when you’re ready to eat. If you grew up with tapioca pudding, this may be one of your comfort foods. Here’s a quick and light low-lactose recipe. As a nation, our waistlines are growing. Today, over 63% of Australian adults and one in four children are overweight or obese. Unhealthy eating and not enough physical activity can lead to overweight and obesity, and an increased risk of developing a chronic disease such as some cancers, heart disease and type 2 diabetes. Shape Up Australia is an initiative to help Australians reduce their waist measurements and improve their overall health and wellbeing. There are many everyday changes you can make to help you Shape Up and get on your way to a healthier lifestyle. Life can be busy, and it’s easy to think that there just isn’t enough time to be physically active. But being physically active doesn’t mean you have to spend hours exercising each day or that you have to push yourself to the point of feeling exhausted. There are great benefits to getting even a small amount of physical activity each day, both mentally and physically. Being active gives you more energy, helps you sleep better, reduces the risk of depression and can help to prevent a range of chronic diseases. You can start with small changes, like increasing the distance you walk by getting off the bus earlier or parking your car further away from the shops. Gradually increase the amount of physical activity you do – it all adds up. Aim for 30 minutes (or more) of moderate-intensity activity most days of the week. If you’re worried you don’t have the time, keep in mind that you don’t have to do your 30 minutes (or more) all at once – combine a few shorter sessions of 10 to 15 minutes each throughout the day. Those short bursts are just as effective as longer exercise sessions. To get started, check out these physical activity tips or find activities in your local area using the activity finder. The saying “no pain, no gain” is a myth. Some activity is better than none, and more is better than a little. But you don’t have to exercise to the point of collapse to get a health benefit. Aim for at least 30 minutes of moderate-intensity activity on most, preferably all, days of the week. Set a date for when you will start. Write the date down and stick to it. Make time to be physically active and schedule it as you would an appointment. The Shape Up activity planner can help you plan and track your activity. Set short-term and long-term goals. Make your goals specific, measurable and achievable. Rather than a vague goal like “I will get fit”, try “I will walk every day for 10 minutes after meals” or “I will get off the bus/train two stops earlier than my usual stop”. Build up gradually. If you are starting a new activity or have been inactive for some time, start at a level that you can manage easily and gradually build up. Choose activities that are right for you. Do something that you enjoy or go for something different you’ve always wanted to try, such as walking, jogging, joining a team sport, taking a group fitness class, dancing, cycling or swimming. Mix it up. Consider changing your activities every so often to avoid becoming bored. Plan physical activity with others. This can help you stick to your plan and achieve your goals. Do not give up before you start to see the benefits. Be patient and keep at it. HAVE FUN! Physical activity can make you feel good about yourself and it’s a great opportunity to have fun with other people or enjoy some time to yourself. Rather than spend five minutes circling a car park looking for that “perfect space” right near the entrance, park five minutes away and spend that time walking instead. If you arrive at a bus or tram stop early, why not make use of the time to walk to the next stop? Walk rather than rest on escalators… it’s quicker so you’ll actually save time! (Or better still, use the stairs). Work in the garden – get into some energetic gardening activities like digging, shifting soil and mowing the lawn to raise your heart-rate. Clean the house! Activities like vacuuming, cleaning windows and scrubbing floors that raise your heart rate are all good examples of moderate intensity physical activity. Park further away from work (or get off public transport a few stops early). If you walk for 10 minutes to and from work, you’ll have done 20 minutes without even noticing. Add a 10 minute brisk walk (or more!) at lunch time and you’ve met the guidelines for the day. Moderate-intensity activity will cause a slight but noticeable increase in your breathing and heart rate. A good example of moderate-intensity activity is brisk walking; that is, at a pace where you are able to talk comfortably, but not sing. Moderate-intensity activity should be carried out for at least 10 minutes at a time. Vigorous activity is where you “huff and puff”; where talking in full sentences between breaths is difficult. Vigorous activity can come from such sports as football, squash, netball, basketball and activities such as aerobics, speed walking, jogging and fast cycling. Note: If you are pregnant, have been previously inactive, or suffer from any medical conditions, it is recommended that you seek medical advice before commencing vigorous physical activity. Eating a diet that includes a variety of nutritious foods every day helps us maintain a healthy weight, feel good and fight off chronic disease. Remember that some foods are high in added fat, salt and sugar and so are best eaten only sometimes or in small amounts. Examples include lollies, chocolate, biscuits, cakes, pastries, soft drinks, chips, pies, sausage rolls and other takeaways. To help you eat well every day, check out these healthy recipes and snack suggestions, tips for staying on track when eating out, our guide to healthy eating on a budget, and tips for drinking to health. Add fruit and yoghurt to low fat milk and blend them together to make a great tasting smoothie. A slice of wholegrain bread or raisin toast with a healthy spread such as avocado or low-fat cream cheese, makes a filling, healthy snack. A piece of fruit – like a banana or apple – can make a great “on the run” snack. Instead of reaching for a chocolate bar or packet of chips, try vegetable sticks with low-fat hummus. An occasional handful of unsalted nuts or dried fruit makes a nutritious snack. Grab a tub of natural low-fat yoghurt and add your own fruit. Air-popped popcorn with a sprinkling of salt makes a great afternoon snack. When the weather is hot, fruits such as oranges and grapes make delicious frozen snacks. 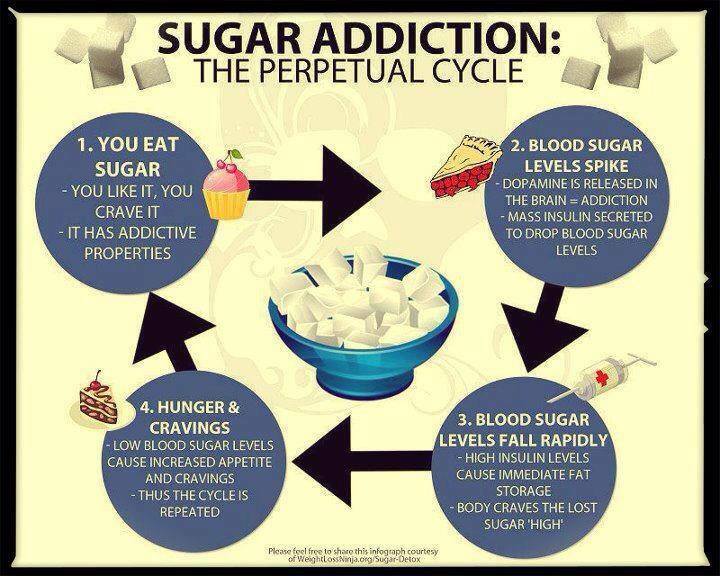 Sweet Poison – sugar, it never fully satisfies our cravings. In the last 24 hours, I’ve drunk several cups of coffee, each one sweetened with a sugar cube. I’ve eaten a bowl of porridge sprinkled liberally with brown sugar and I’ve enjoyed on three separate occasions, a piece of my date and apple birthday cake, to which the chef tells me he added one cup of castor sugar. This is pretty standard fare for me (birthday celebrations notwithstanding) and although occasionally I fret that my sugar intake is perhaps a little high and that I should reign it in or else risk all manner of health problems down the track, I continue to indulge my sweet tooth. Although after listening to David Gillespie present at Happiness & Its Causes 2011, I’m seriously thinking I really do need to wean myself off the white stuff. Gillespie, a former lawyer, is the author of Sweet Poison: why sugar makes us fat, whose thesis is that sugar, or more specifically fructose (of which folk are consuming, on average, about one kilo a week), actually does much more that pack on the kilos. It also makes us physically ill and exacts a significant toll on our mental health. What we’ve come to identify as sugar is actually a combination of two molecules: fructose and glucose, the latter an indispensable element to the body’s healthy functioning. As Gillespie explains, “The glucose half is fine. It’s more than just fine; it’s vitally necessary for us. We are machines that run on the fuel of glucose.” Indeed, all the carbohydrates we consume – and which for most of us constitute about 60 per cent of our diet (everything else is proteins and fats) – are converted to glucose. Fructose, on the other hand, is not metabolised by us for fuel but rather converted directly to fat. As Gillespie says, “By the time we finish a glass of apple juice, the first mouthful is already circulating in our arteries as fat.” But even worse than that, fructose messes with those hormonal signals which tell us we’re full so that we keep on eating sugary, fatty foods. 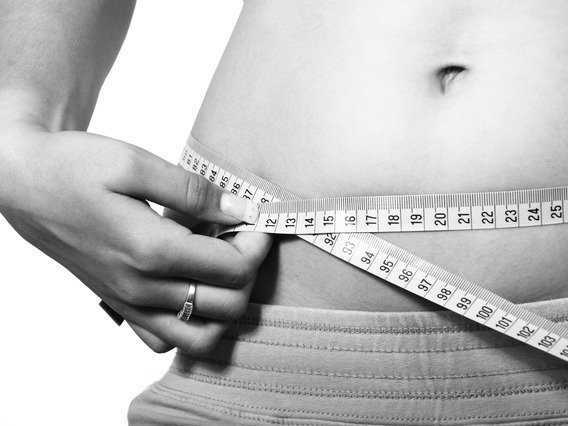 Leptin is produced by our fat cells and works as our “on board fuel gauge” in that the more fat cells we have, the more leptin we produce and the less hungry we are. The problem with fructose is it “makes us resistant to that signal,” says Gillespie. And yes, this leads to all manner of health problems including Type 2 Diabetes and its associated symptoms including lethargy, blurred vision and skin infections, and what Gillespie says is “significant damage through something called glycation”, the destruction through the excessive production of so-called AGEs (advanced glycation end products) of our skin’s elasticity which causes hardening of our arteries and brittle skin, both unmistakable signs of ageing. Gillespie also cites some biochemistry studies that have found fructose accelerates the growth of pancreatic cancer tumours. These are just some of the physical effects. The addictive quality of fructose means it’s also a bit of a downer and that’s because of how it interferes with the balance of two feel-good hormones in the brain, dopamine and serotonin. Gillespie explains, “It significantly ramps up our dopamine (released when we anticipate pleasure) at the expense of our serotonin (released when that pleasure is delivered).” In other words, it never fully satisfies our cravings, and as anyone who’s battled an addiction knows, unfulfilled cravings are never much fun. Reflexology … what’s it all about? Many ancient cultures, including the Egyptians and Chinese, practised foot therapy as a form of healing. In the early 20th century, the Americans Dr William Fitzgerald and physiotherapist Eunice Ingham rediscovered and refined the techniques. A typical session lasts approximately one hour. The practitioner first asks detailed questions about lifestyle and prior and current medical problems. The patient sits or reclines on a couch with their feet bare, while the practitioner examines the feet before working on all the areas of the feet. Generally speaking, the greater the degree of tenderness felt by the patient, the more likelihood there will be a possible imbalance in the corresponding area of the body. The practitioner relaxes the feet with gentle massage, and then works on the reflex points using specific techniques. Practitioners are well used to handling feet and apply sufficient pressure so that ticklishness should not be a problem! Reflexology is not meant to hurt, but should be felt. Strong pressure does not necessarily have a greater effect on the reflexes. Premenstrual symptoms – in one study to assess reflexology as treatment for premenstrual symptoms, participants who received weekly therapy reported, on average, a reduction of symptoms by 62 per cent. In another study, the benefits of reflexology were no different to the benefits of regular foot massage performed by people with no training in reflexology. Treatment for foot problems such as corns, calluses, bunions and ingrown toenails are not in the scope of practise of a Reflexologist and should be treated by a podiatrist. In particular, people with diabetes are prone to serious foot problems and should be guided by their doctor about appropriate treatment. Reflexology can be an excellent therapy for people with diabetes, however if in doubt about your medical condition it is always recommended that you consult with your doctor before seeing a reflexologist. Reflexologists do not diagnose, prescribe or treat specific conditions. If an imbalance was detected in a particular reflex during a treatment, the practitioner is likely to refer you to a doctor to get checked. Do not stop any medical treatments on the advice of your reflexologist. To find a reputable and qualified reflexologist in your area, contact the Reflexology Association of Australia. All professional practitioners have undergone extensive training, hold a current Level 2 first aid certificate, have professional indemnity insurance and can provide you with a professional receipt that you can use to claim back part of the treatment from participating private health insurance companies. Reflexology is massage of the feet that aims to promote healing in other areas of the body. Modern reflexology is based on the principle that the foot has ‘reflex’ points that correspond to the various structures and organs throughout the body. Always consult your doctor if you have a medical condition.